Orbán has been accused by opponents of cosying up to Russian President Vladimir Putin, who has visited Budapest twice in the last three years. Carrying EU flags, the anti-Moscow slogans rang out among the crowd, estimated by local media at 10,000, as they passed the Russian embassy. 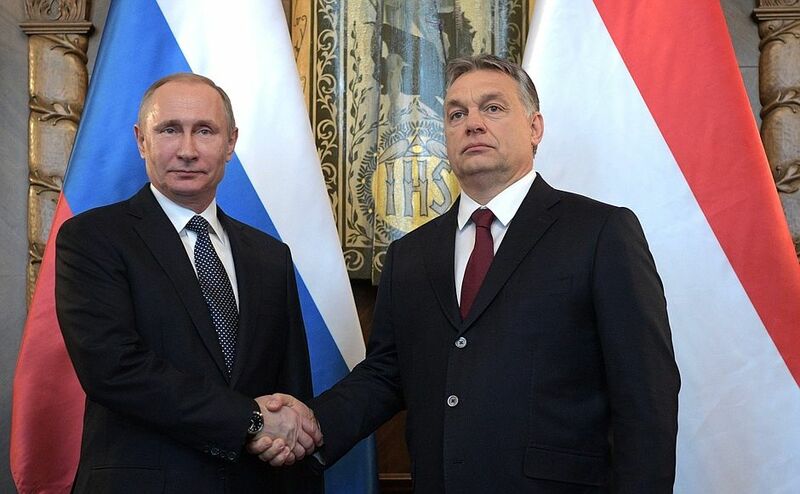 Orbán signed a controversial loan deal with Putin in 2014 to finance the expansion of Hungary’s only nuclear facility. Hungary’s Prime Minister Viktor Orbán, seen by some in Brussels and Washington as cosying up to the Kremlin, said his country would not be forced to pick one side or another in a Cold War-style standoff in Europe. The same year, the Hungarian leader also said that rather than liberal democracy he favoured building an “illiberal state” and praised Russia as a model. Critics of Hungary “lack objectivity” and it is a “fantasy” to say the press is not free in this country, said László Trócsányi, Hungary’s Minister of Justice. 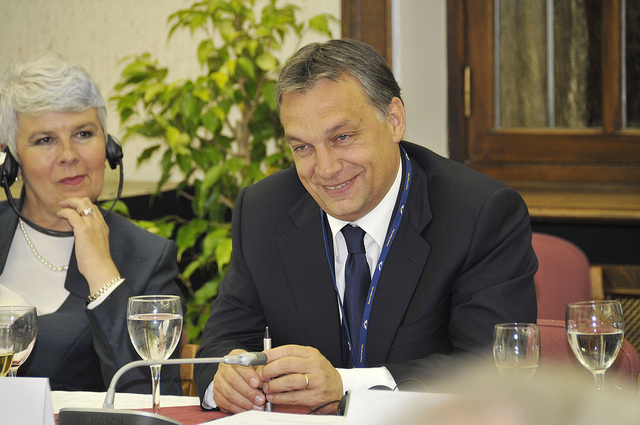 The Orbán loyalist maintains that democracy can exist in both neo-liberal and “more conservative” contexts. 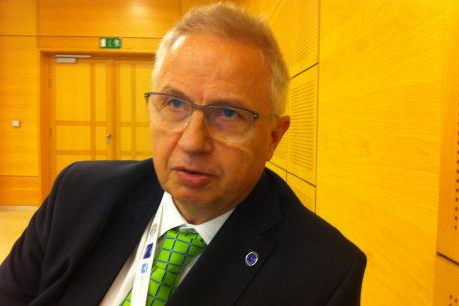 He spoke to Georgi Gotev for EURACTIV France. Rights groups say Orbán has copied some of Putin’s methods by clamping down on independent institutions, NGOs and press freedoms. 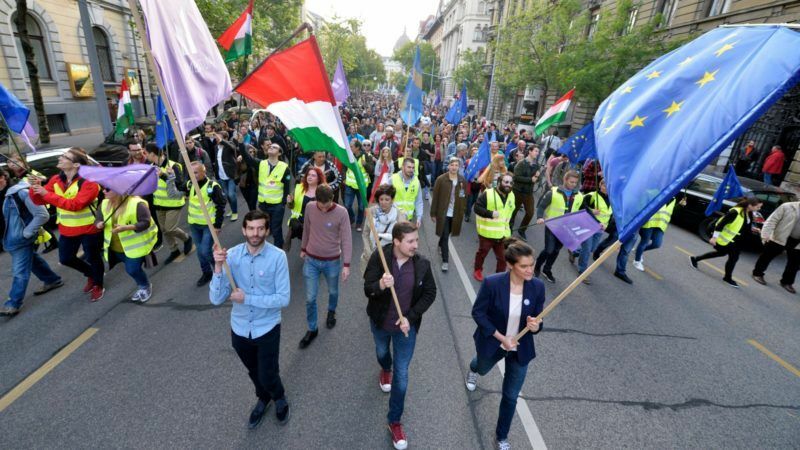 “In Hungary, a system of fear is being built on the Russian model,” the rally’s organisers Momentum, a political party formed by young activists, said before the march began. Momentum was set up in March after a signature drive it organised forced Orbán to drop Budapest’s bid to host the Olympics in 2024.